Ferries from Athens to Chania operate on a daily basis throughout the year. During the winter, the departure times from the port of Piraeus are usually around 20:30 or 21.00 at night. In the summer season there is also an afternoon connection every day as well as a morning departure usually 5 days a week. The journey from Athens (Piraeus) to Chania normally takes from 6h to 9h depending on the ferry operator. The average ticket price starts from €38 for a standard economy ticket and each ferry operator offers a variety of options for cabins to make your ferry trip more comfortable. How long is the ferry trip from Athens (Piraeus) to Chania? The distance between the port of Piraeus and the port of Chania is approximately 270km (168 miles) so the ferry journey from Athens (Port of Piraeus) can take between 6 and 9 hours. The ferry connection between Athens and Chania is very frequent throughout the year. In the winter there are two ferries departing at night from the port of Piraeus to the port of Chania. During the mid-season and high-season (from May to October) you can also find ferries that depart in the morning and afternoon. The journey from Athens (Piraeus) to Chania is long and often an overnight trip, so booking a Bed Cabin is the most comfortable option for you. As each ferry operator offers different options and prices for cabins you can compare prices and check availability on ferryhopper.com. If you book a pet-in cabin you can secure a relaxing journey for you and your pet(s). If you sleep on board, you'll be fully rested on arrival, and ready to take on the day in your new holiday destination! The port of Piraeus is usually very crowded during the whole summer season so make sure to be there on time, and ask the port authorities if you need information regarding your ferry and the departure gate. If you go to the port of Piraeus by public transport make sure you calculate some time in advance to reach the departure gate of your ferry. Usually the ferries to Crete depart from the port gates E2 or E3 which are approximately 20 minutes walk from the nearest train / suburban railway station. There is also a bus service that operates inside the port of Piraeus. This bus journey is free and it serves the port gates E5,E4, E3, E2, E1. Since the journey from Piraeus to Chania is long, it is advisable to travel with a cabin. Being the most comfortable option to travel, they often become overbooked so we would suggest to book your tickets as early as possible (3-4 months before the trip). The port of Chania is located in Souda which is 7 km southeast from Chania town (approximately 20 minutes by car) and 15 km away from the Chania airport (approximately 20 minutes by car). There is good bus and taxi connections to the Chania port. 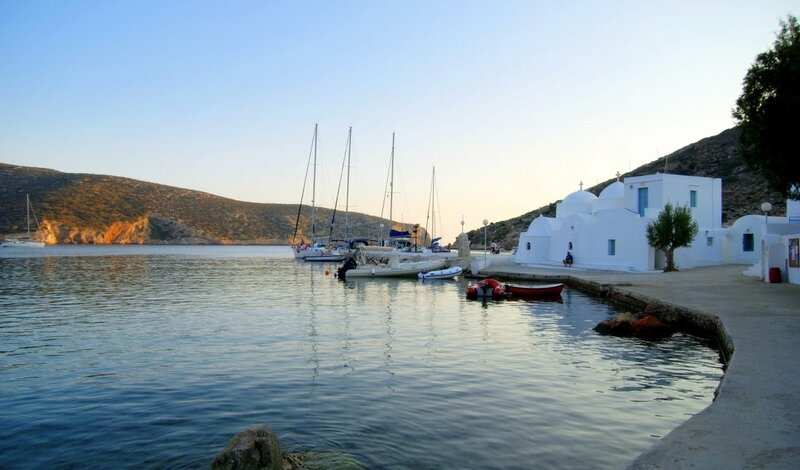 It is advisable to book in advance your ferry trip back to Athens, especially if you are travelling with a vehicle or if you wish to book a cabin. Check the Crete to Athens ferry route here. Some ferry companies have seasonal offers when you book a return ticket by saving you some money on the overall price of your ferry tickets or the price of your vehicle so make sure to check in advance.